Taking a thematic approach, Kemp examines ancient Egypt's georgraphy, rulers, society, morality, family life, art and architecture, military, science, philosophy and religion. He then goes on to ask what happened to Ancient Egypt, and to point to its lasting influence today. 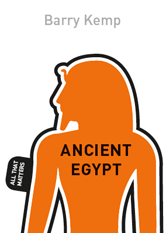 1 Why study ancient Egypt?